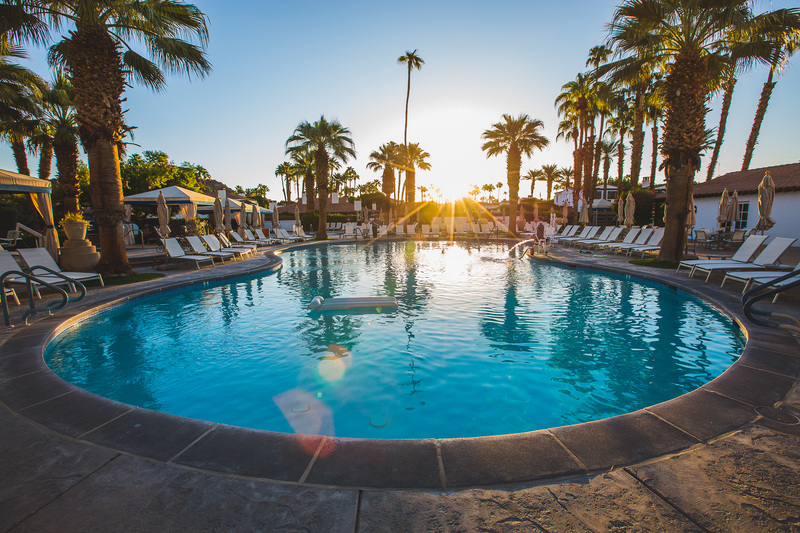 All Travel Packages include local resort accommodations for two or four people plus GA or VIP passes to Weekend 2 of the 2019 Coachella Valley Music and Arts Festival and Any Line Shuttle Passes for your group. For specific offerings including room types, number of nights, hotel reservation dates, age restrictions and more sorted by resort, click through below. Click here for important travel package program details. Please note: festival and shuttle passes will be available for pick up at your hotel on Friday, April 19, 2019 during designated travel package check in hours (info to be provided prior to arrival), and all prices listed below are subject to change. 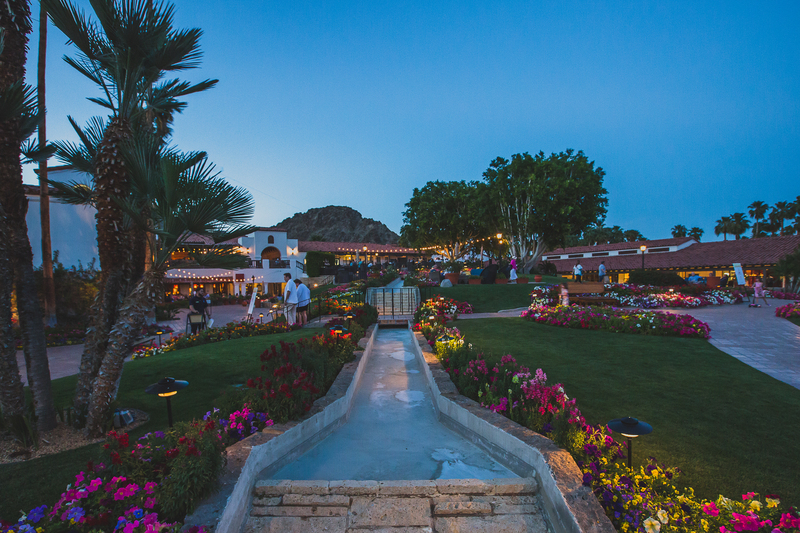 La Quinta Resort & Club, set on 45 lush acres of vibrantly-colored gardens and pathways at the foot of the Santa Rosa Mountains, is an original desert hideaway, offering personal refuge to Hollywood starlets and world travelers. 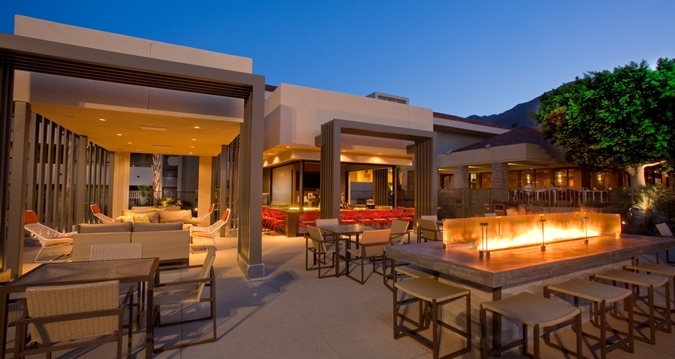 Escape your worries, and vacation to one of the premier resorts in Palm Springs. Please note: You must be 18 to purchase and check in to the hotel. All other guests in the room can be under 18. Packages for 4 people include one room with two beds. For the answers to frequently asked Travel Package questions, click below. 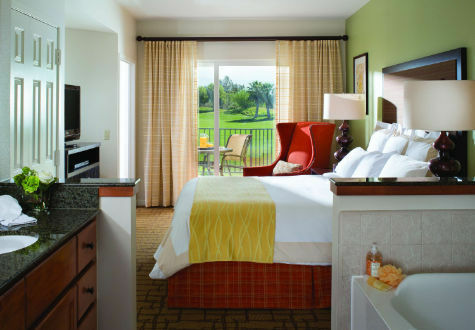 The luxury Marriott’s Shadow Ridge I-The Villages is sure to become your favorite vacation destination. Settle in to your one-bedroom villa rental, and enjoy separate living and sleeping spaces, a kitchen and a cozy fireplace. 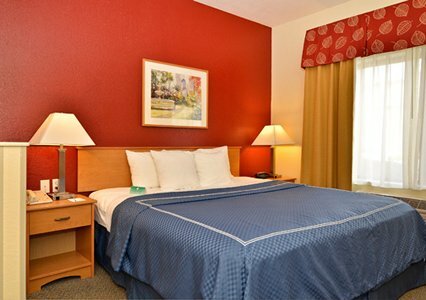 Or plan your stay in one of our guest rooms, which offer a full kitchenette. 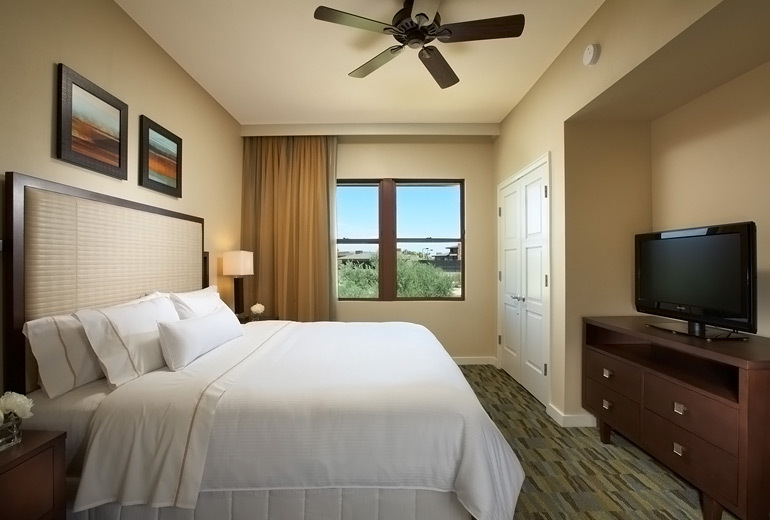 All rental accommodations include free Wi-Fi, flat-screen TVs and desert views. 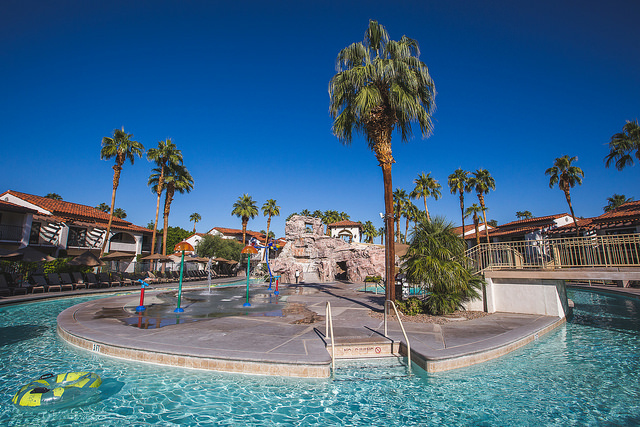 Enjoy the Chuckwalla Pool and water slide. Dine on American favorites at one of their restaurants. 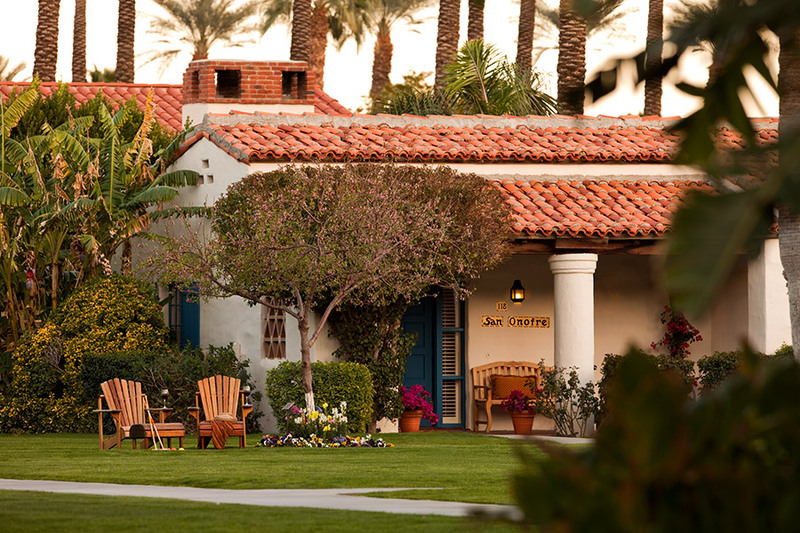 Adventure seekers will appreciate the resort’s location near attractions like Joshua Tree National Park and the Palm Springs Ariel Tramway. Please note: You must be 18 to purchase and check in to the hotel. All other guests in the room can be under 18. Packages for 4 people include one room with one bed and one sofa bed. 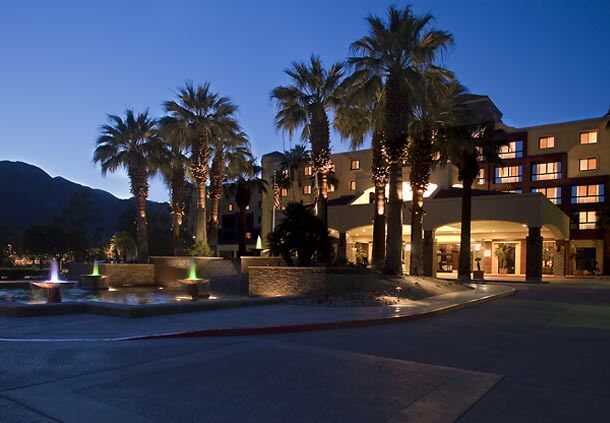 The Hilton Palm Springs hotel in Southern California is located downtown in the desirable village of Palm Springs at the foot of the spectacular San Jacinto Mountains. 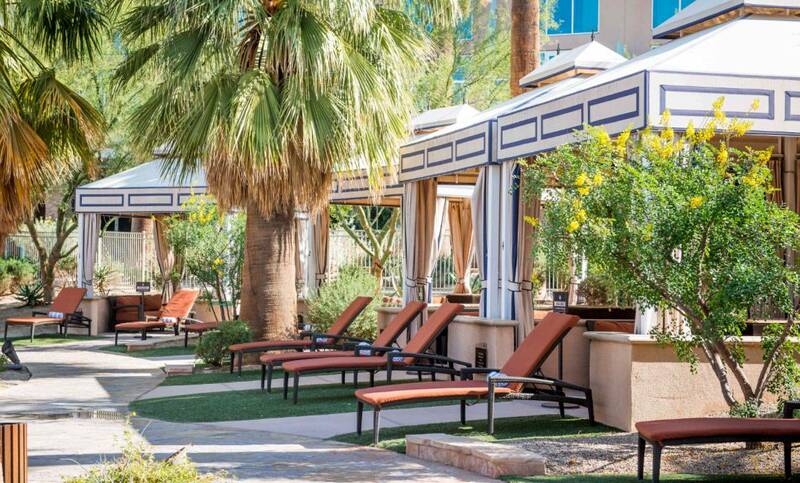 In between Coachella festivities, you can take advantage of the modern fitness center, rejuvenate at Elements Spa or simply relax with a cocktail from the Al Fresco bar by the outdoor pool. 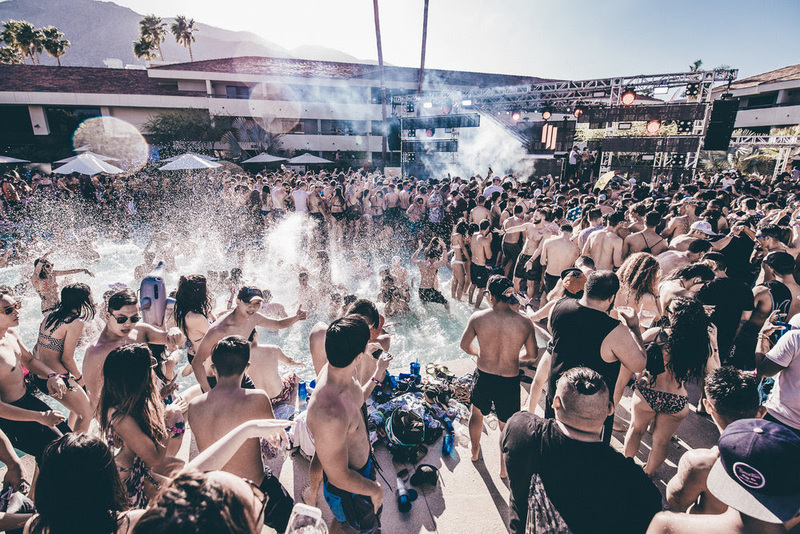 Each travel package at the Hilton Palm Springs also includes admission to the Day Club pool parties taking place at the hotel. You must be 21+ to attend Day Club. Please note: all travel package guests must be 21+ to stay at Hilton Palm Springs due to Day Club parties taking place at this property. Refunds will not be offered for purchasers who do not meet this age restriction. Packages for 4 people include one room with two beds. 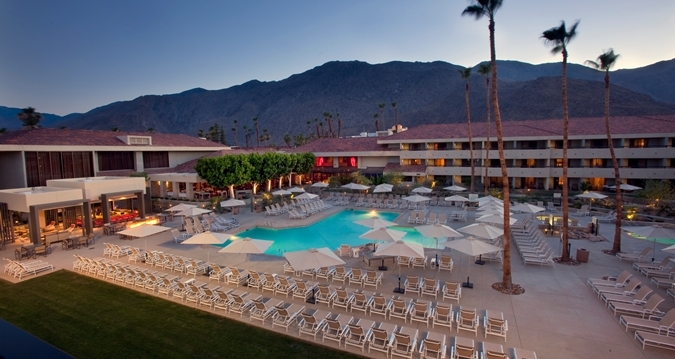 NOTE: Day Club Travel Packages that bundle a reservation at the Hilton Palm Springs with Day Cub tickets and DO NOT include Coachella Weekend 2 passes are available here. 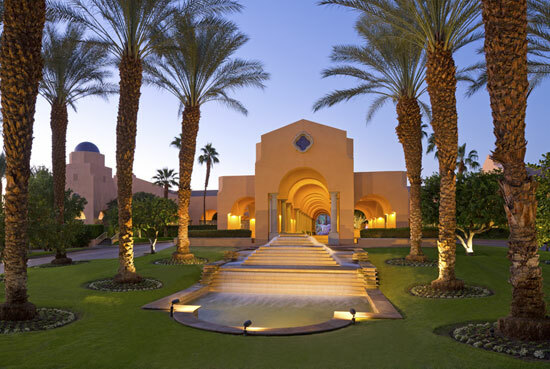 A tranquil oasis beckons you at the JW Marriott Desert Springs Resort & Spa. 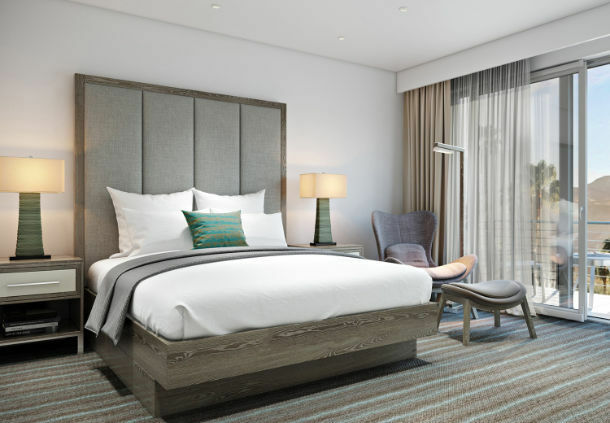 Settle into your luxury guest room, or take advantage of the remarkable selection of amenities including five sparkling outdoor pools, two championship golf courses, a state-of-the-art spa facility and six exquisite on-site restaurant options. 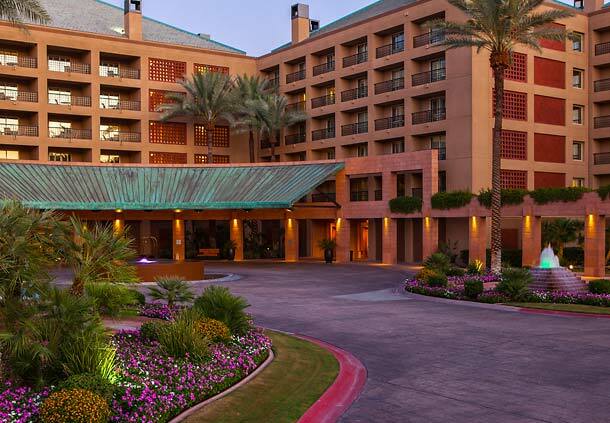 Find a genuine oasis at the Renaissance Indian Wells Resort & Spa. 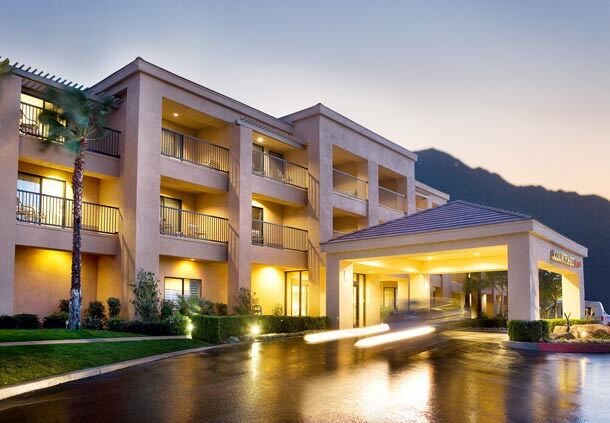 This resort greets you with plentiful on-site resources, stunningly appointed, spacious hotel rooms and a convenient location in Indian Wells. Enjoy a peaceful morning at the hotel spa, dazzle your palate at an on-site restaurant, or unwind in style by the sandy beach pool. 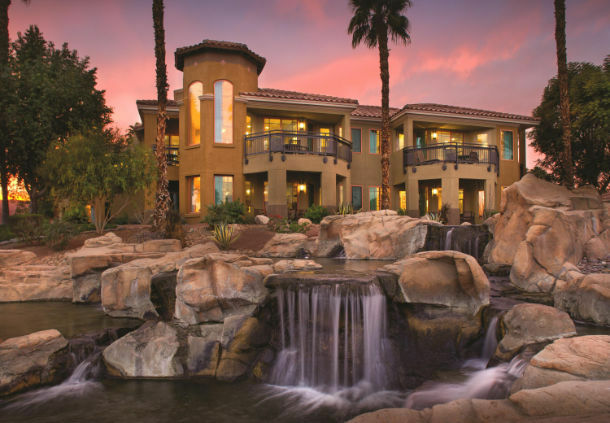 Treat yourself to an unforgettable adventure at the Renaissance Indian Wells Resort & Spa. 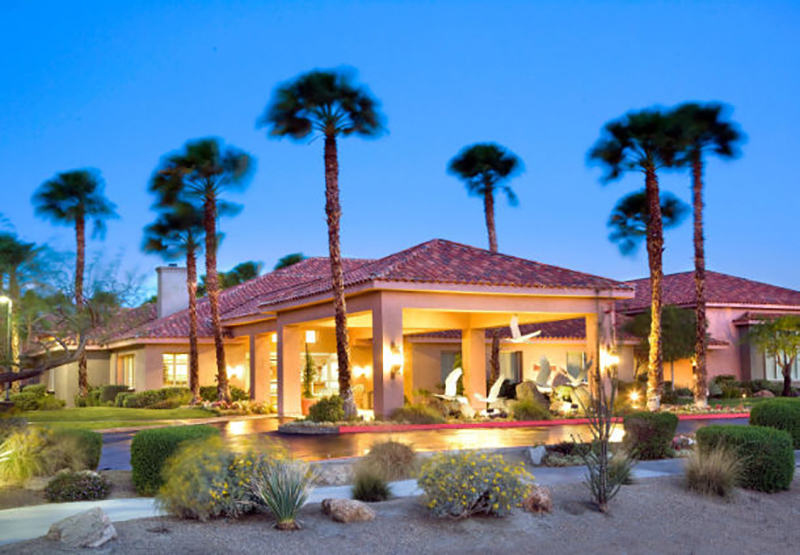 Luxury and comfort blend seamlessly at Marriott’s Desert Springs Villas II.Treat yourself to spacious accommodations, superior amenities and an ideal location near beautiful Palm Springs. 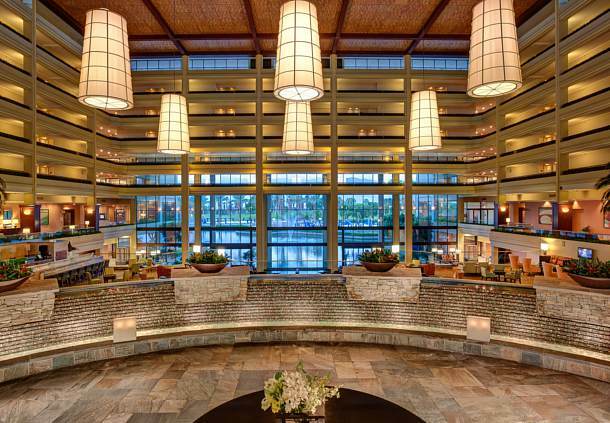 Perks include complimentary Wi-Fi, seven pools, and an on-site restaurant, Water’s Edge Bar and Grill. 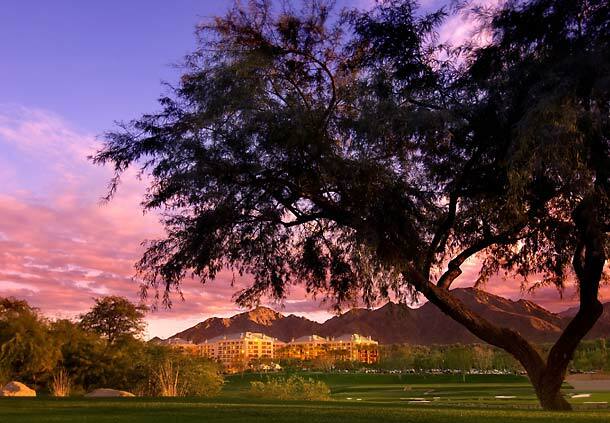 Enjoy a perfect escape at Westin Mission Hills Golf Resort & Spa, with championship golf courses, picturesque mountain views and a secluded location. 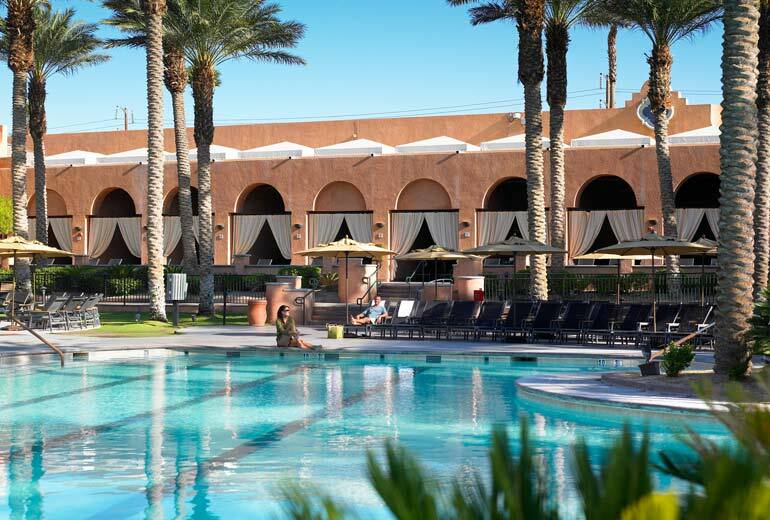 Lounge by the pool or unwind at the spa during your desert retreat. 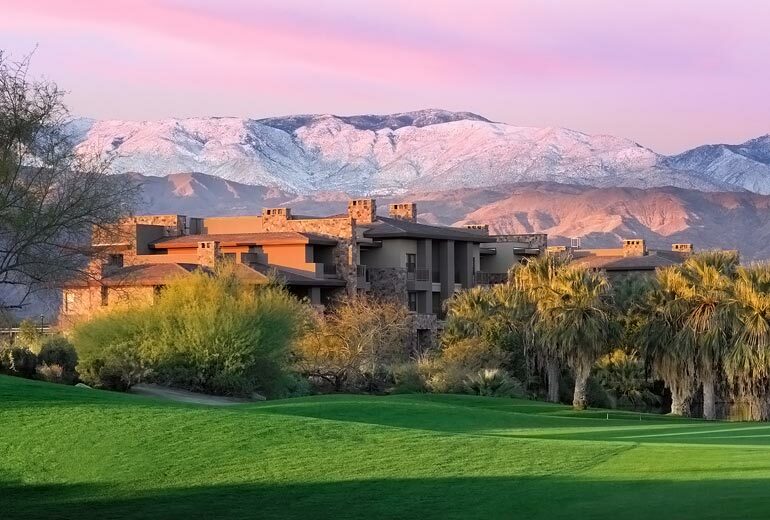 Plus, listed as one of Golf Digest’s® Top 75 Golf Resorts in North America, this resort is truly a golfer’s dream. 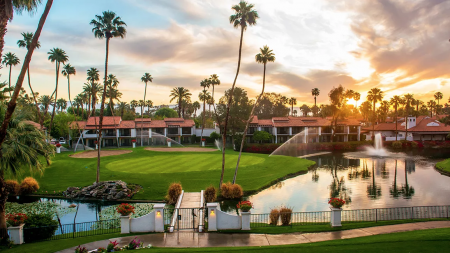 The Westin Mission Hills Resort & Villas is nestled in the Coachella Valley at the base of California’s San Jacinto Mountains in the secluded desert oasis known as Rancho Mirage. This world-class golf and spa destination promises infinite rejuvenation. Nearby, a mecca of cultural, historical, shopping and outdoor adventure awaits you. Please note: You must be 21 to purchase and check in to the hotel. All other guests in the room can be under 21. Packages for 4 people include one room with two beds. 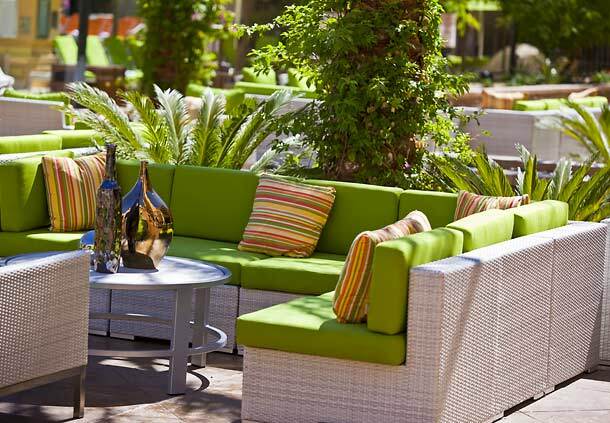 The Riviera Palm Springs is a stylish, eclectic, cool, resort getaway located in Palm Springs. This resort has a rich history as a destination retreat for Hollywood celebrities, and is free spirited, vibrant, and playful. 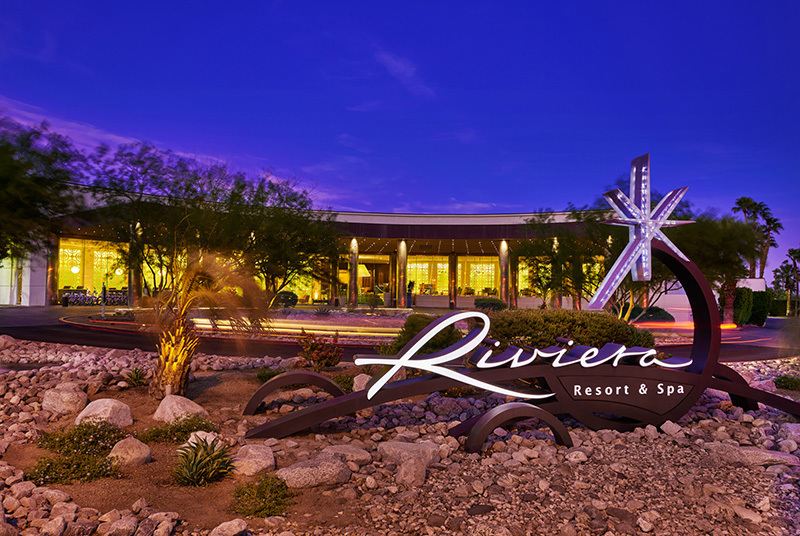 As a Riviera Palm Springs guest, you’ll enjoy panoramic views of the resort grounds, luxury amenities and services, and much more. Each travel package at the Riviera Palm Springs also includes admission to the Day Club pool parties at the Hilton Palm Springs. Check out the Buzz Trolley for getting to and from the Hilton! You must be 21+ to attend Day Club. 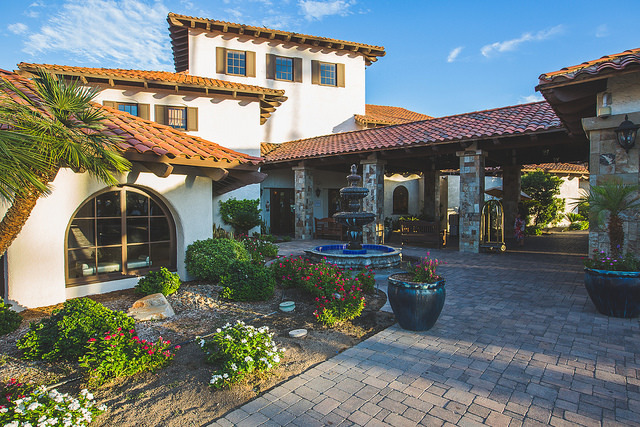 Nestled amid the Santa Rosa Mountains in Southern California, this invigorating oasis sits adjacent to one of the area’s most celebrated golf resorts, Desert Willow Golf Resort. Two award-winning championship courses — considered 36 holes of the Coachella Valley’s best plays — are yours to experience whenever you like. 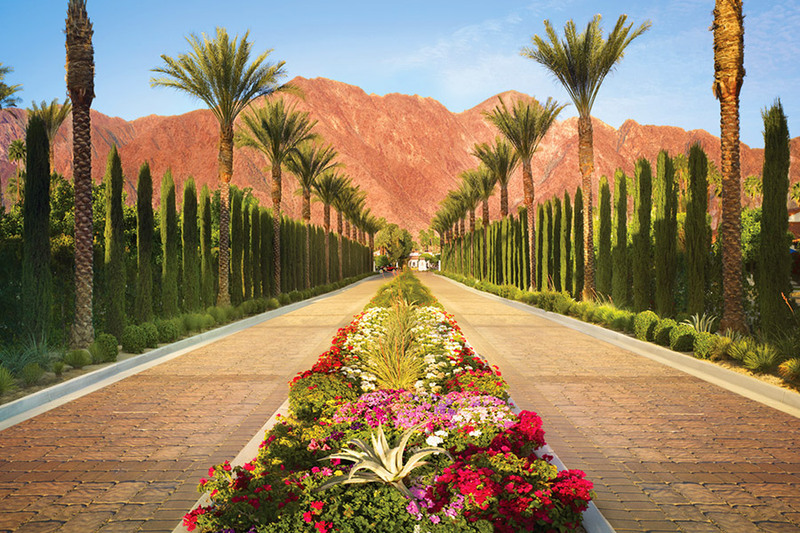 Beyond the resort, famed Palm Desert beckons you to explore. Please note: you must be 21 to purchase and check in to the hotel. All other guests in the room can be under 21. Packages for 4 people include one room with one bed and one sofa bed. 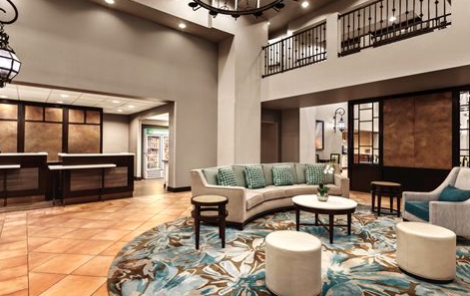 Elevate the ordinary at Fairfield Inn & Suites Palm Desert, jump-start your desert adventure by providing easy access to Indian Wells, Coachella Valley, Fantasy Springs Resort Casino, Agua Caliente Casino Resort Spa and Thousand Palms. 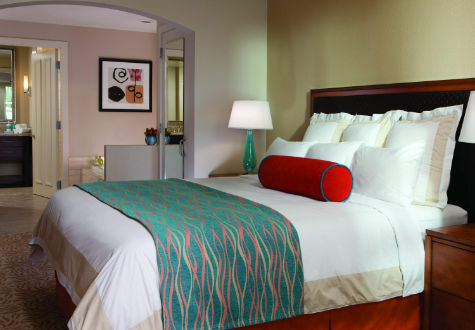 Experience a taste of Palm Desert’s vibrant culture, then settle into spacious rooms with complimentary Wi-Fi and luxurious bedding for your comfort and convenience. 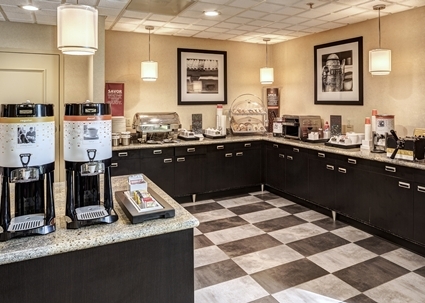 Following your restful night, wake up to a free breakfast buffet served daily. During your spare time, fit in your workout at the well-equipped fitness center, then soak in the California sunshine from the sparkling outdoor pool. 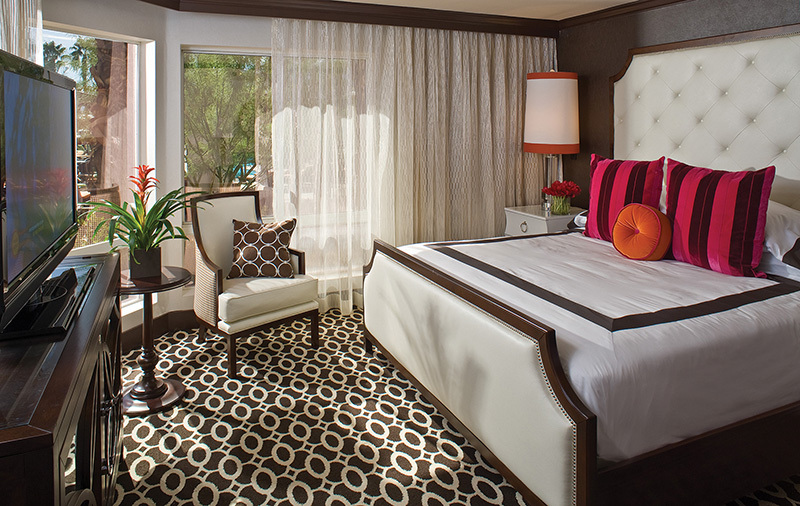 Welcome to Renaissance Palm Springs! 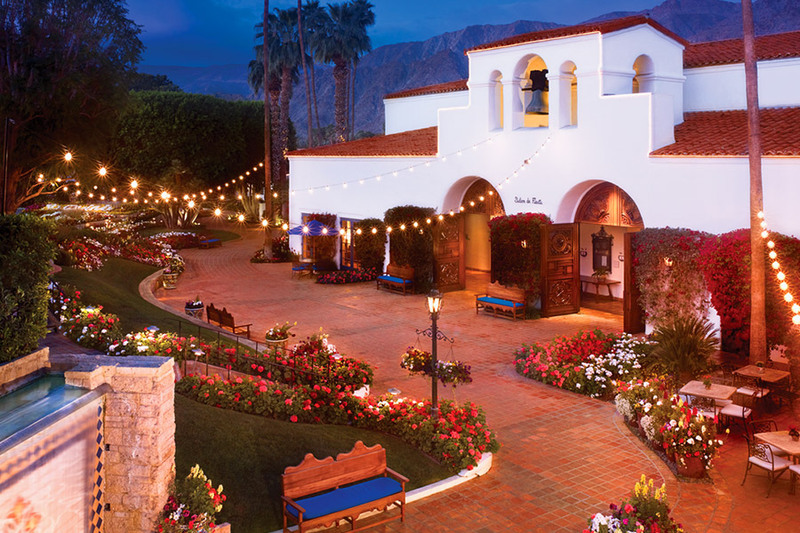 Nestled at the base of the San Jacinto Mountains, this friendly Palm Springs hotel offers an indigenous medley of style, sophistication, and playfulness for the ultimate desert getaway. 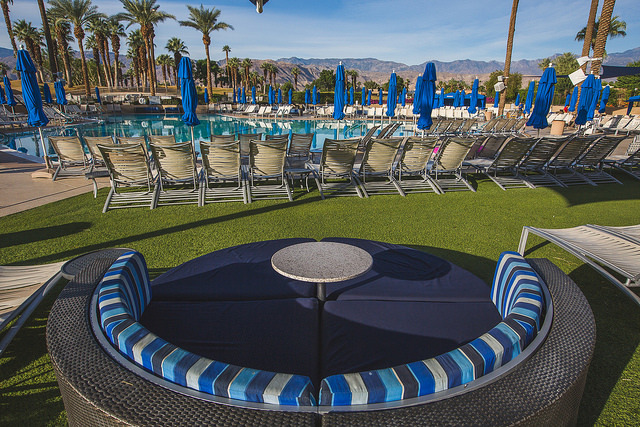 The largest pool in Palm Springs, lime green umbrellas, private cabanas, and outdoor fire-pits, await! 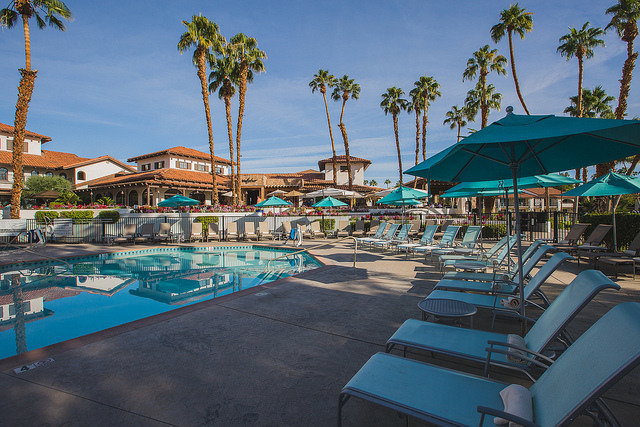 Each travel package at the Renaissance Palm Springs also includes admission to the Day Club pool parties at the Hilton Palm Springs. Check out the Buzz Trolley for getting to and from the Hilton! You must be 21+ to attend Day Club. Please note: You must be 21 to purchase and check into the hotel. All other guests in the room can be under 21. Packages for 4 people include one room with two beds. 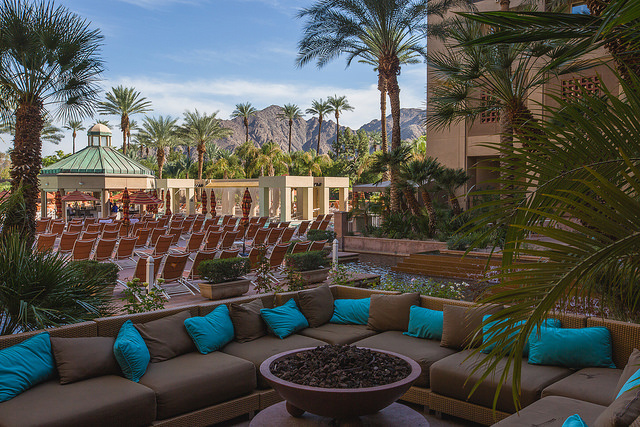 Soak in jaw-dropping views of the Santa Rosa mountains and experience the comfort of sparkling-new renovations and an array of amenities at the Courtyard Palm Desert. A shoppers’ paradise awaits you nearby at the renowned El Paseo Shopping district, or you can go for a par at over 30 golf courses nearby. 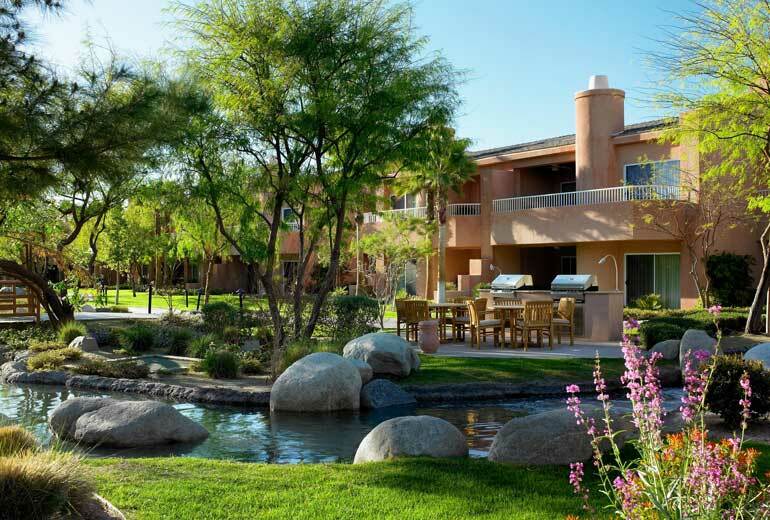 Experience your own Palm Desert oasis during your stay at the Residence Inn Palm Desert. 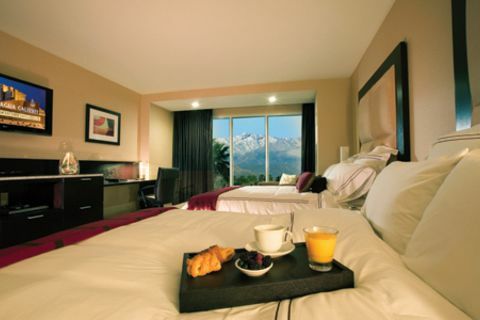 Located in the Palm Springs area and offering stunning views of the Santa Rosa Mountains, the Residence Inn includes the perfect poolside scenery, great for relaxation and rejuvenation. Please note: You must be 21 to purchase and check in to the hotel. All other guests in the room can be under 21. 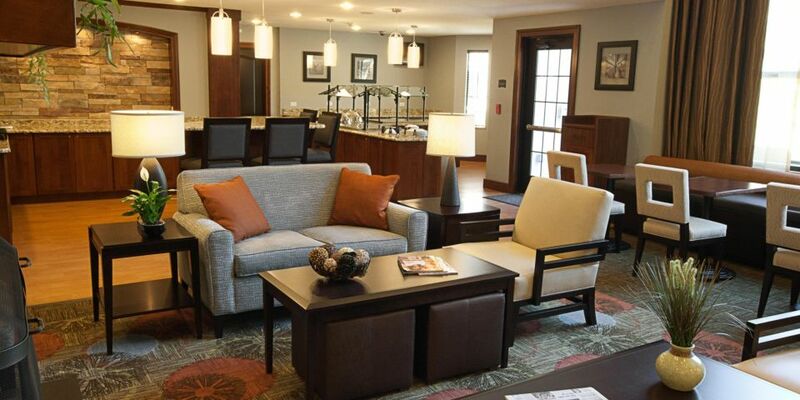 Packages for 4 people include one 2-bedroom suites. 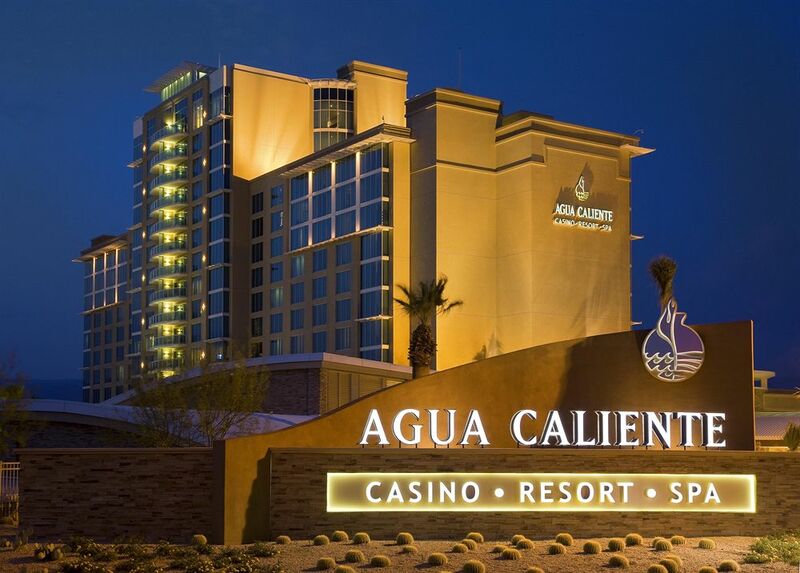 All the pleasures of a luxurious, four-diamond destination are yours at Agua Caliente Casino Resort Spa in Rancho Mirage, California! The beautiful 16-story resort includes a popular casino, pools, cabanas, an exceptional spa, and a state-of-the-art concert theatre. Note: you must be at least 21 to purchase and check-in for this travel package. All other guests in the room can be under 21. Packages for 4 people include one hotel room with two beds. 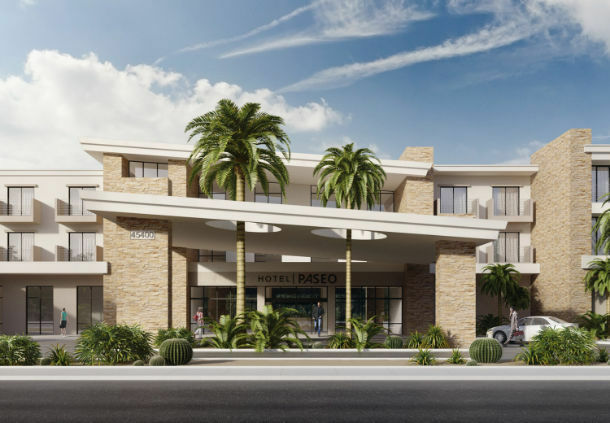 Find your path at Hotel Paseo, the first new luxury hotel in Palm Desert in over 30 years. 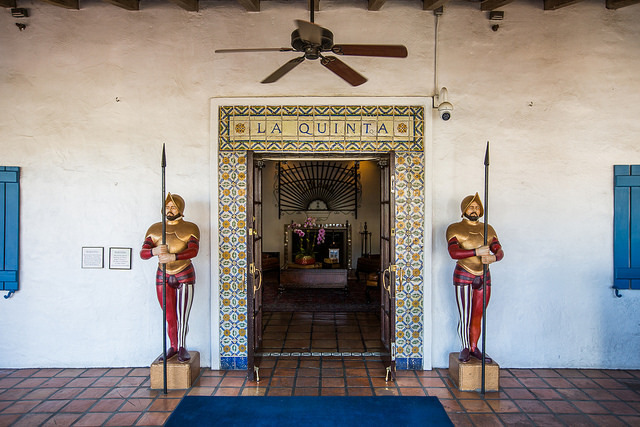 This boutique property is steps from upscale shopping, art galleries, restaurants, and nightlife on El Paseo. 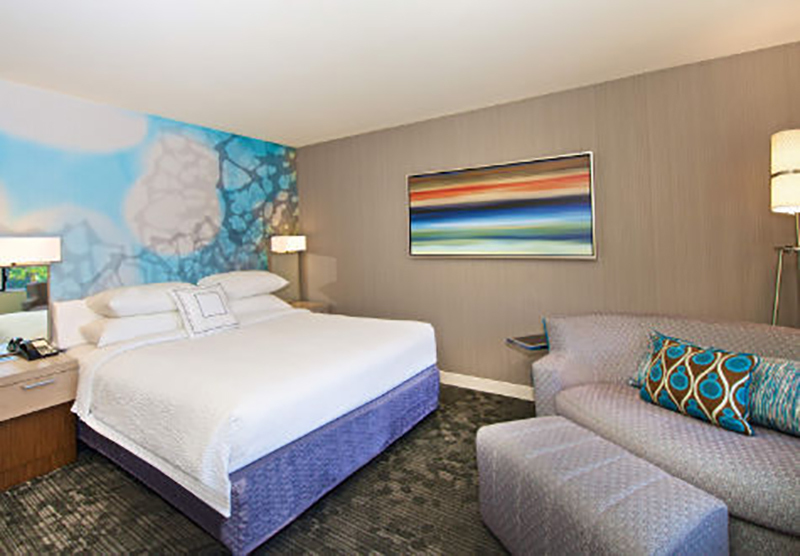 The hotel’s location is ideal for experiencing Palm Springs and the beautiful Coachella Valley and includes a lounge by a crystal blue pool and poolside cabana bar. Note: you must be at least 21 to purchase and check-in for this travel package. All other guests in the room can be under 21. An ethereal desert beauty permeates every experience at Kimpton Rowan Palm Springs Hotel, where urban enchantments meet epic scenery. The 153 soothing, spacious guestrooms and suites offer a restorative retreat after heart-thumping adventures on rugged trails or in the lively nightlife scenes. At the rooftop pool and bar, pair brilliant sunsets with masterful cocktails. Dine at one of the two chef-driven restaurants featuring seasonal, shareable small plates made from fresh, local ingredients. From vista points like the refreshing rooftop deck or the two-story cinematic window in the lobby, the views are stunning and unsurpassed. 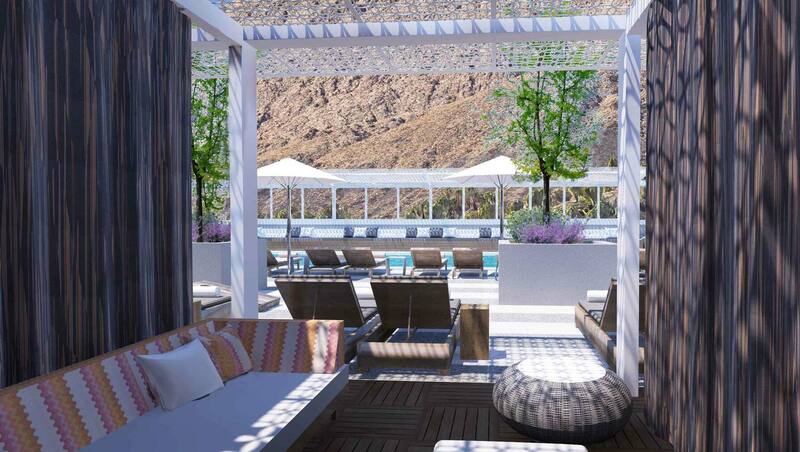 Each travel package at the Kimpton Palm Springs also includes admission to the Day Club pool parties at the Hilton Palm Springs. Check out the Buzz Trolley for getting to and from the Hilton! You must be 21+ to attend Day Club. Note: you must be at least 18 to purchase and check-in for this travel package. All other guests in the room can be under 18. Packages for 4 people include one hotel room with two beds. 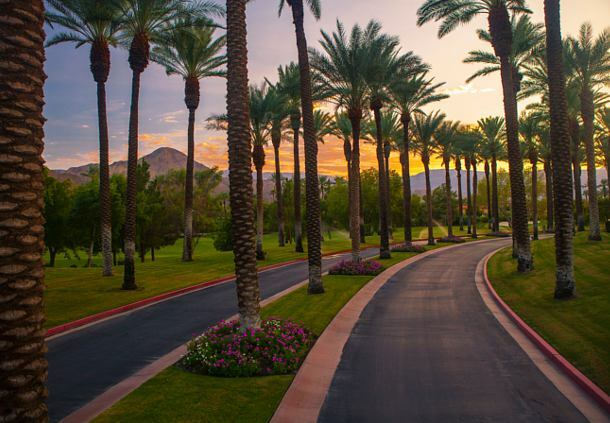 Nestled in the Coachella Valley, Homewood Suites by Hilton® Palm Desert is conveniently located just 11 miles from Palm Springs International Airport. Enjoy hot breakfast each morning or visit the onsite store for your favorite snacks and beverages to keep you going during Coachella. Break a sweat in the fitness center or outdoor pool, practice on the putting green or relax in the whirlpool spa. Please note: You must be 21 to purchase and check in to the hotel. All other guests in the room can be under 21. 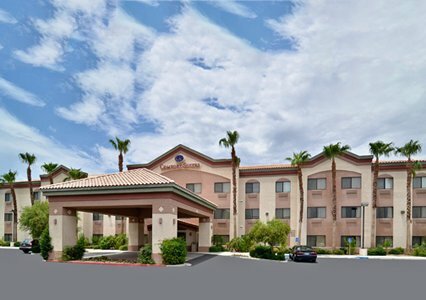 Located in the heart of Palm Springs area, Staybridge Suites Cathedral City is surrounded by golf, shopping and dining and is a top choice for extended-stay guests in the Coachella Valley. 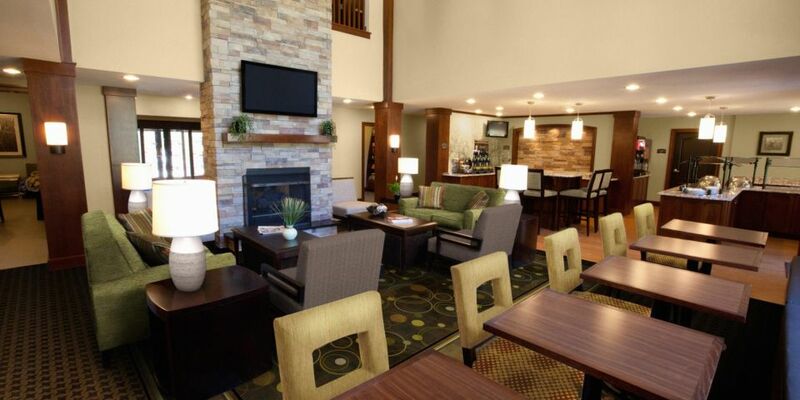 The hotel offers distinguished amenities and service to compliment all your traveling needs, from hot breakfast and high speed Wi-Fi to a picturesque oasis complete with a resort style pool and fire pit. Please note: You must be 18 to purchase and check in to the hotel. All other guests in the room can be under 18. 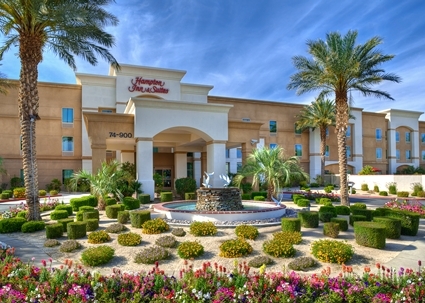 *VMT travel package guests at the Staybridge Suites will receive Any Line Shuttle passes as part of their package; however, shuttle service from the Staybridge Suites will be scheduled and pick ups will occur less frequently here than at all other travel package hotels and Any Line Shuttle stops. 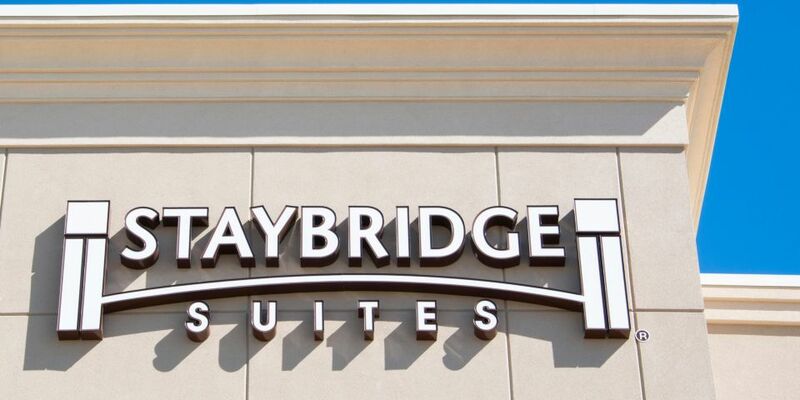 The Staybridge Suites shuttle schedule will be sent to guests closer to the event. 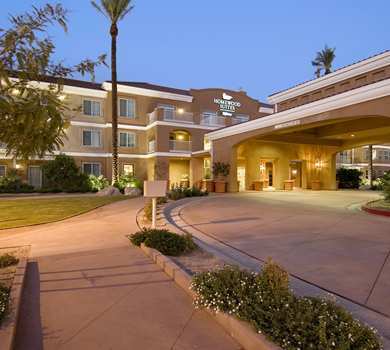 Please note: The Staybridge Suites shuttles will only be for Valley Music Travel Travel Package guests at this hotel. 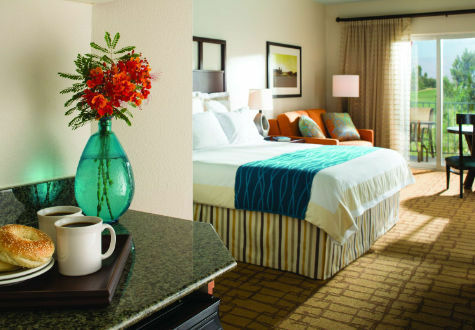 The Comfort Suites® Palm Desert I-10 offers all the essentials you need to stay on your game at Coachella. 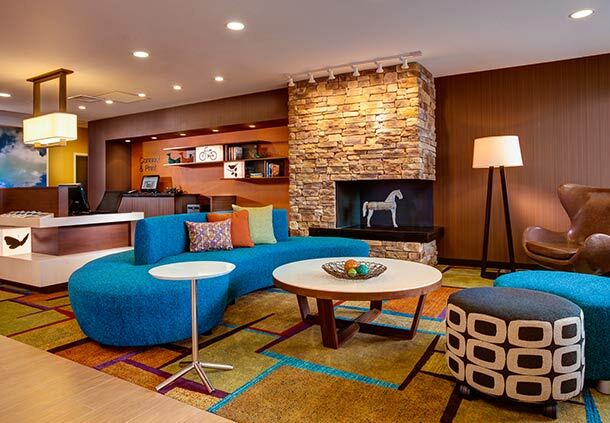 Free WiFi, an outdoor heated pool and hot tub, exercise room, daily breakfast offerings and pet-friendly accommodations await! 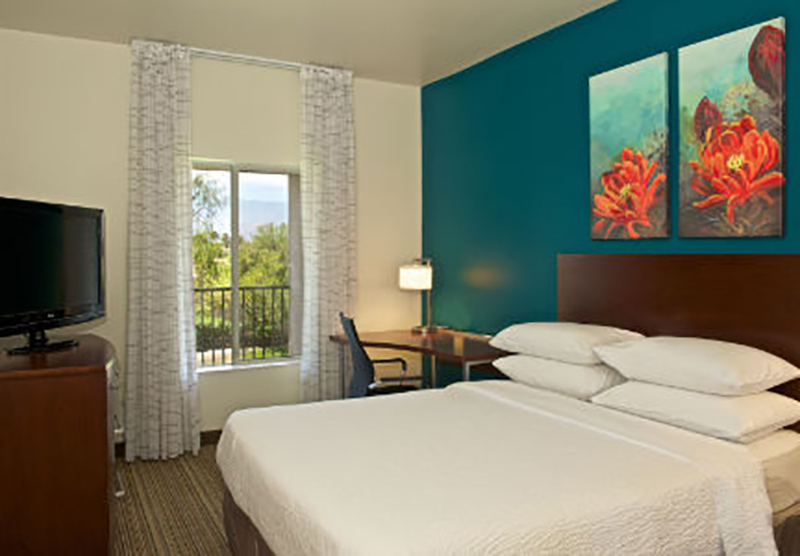 Enjoy a relaxing stay at Hampton Inn & Suites Palm Desert hotel. 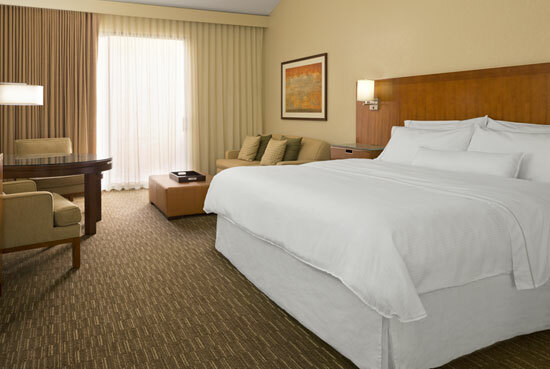 Unwind in a comfy guest room or catch up with work before heading to the festival by using the free high-speed internet. 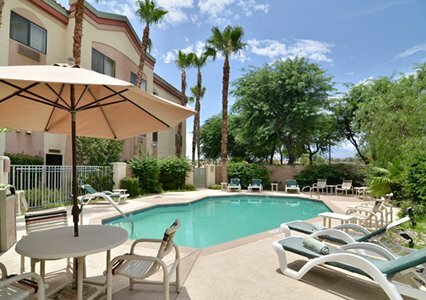 Wake up refreshed after a night of live music, and start your day right by the outdoor pool. 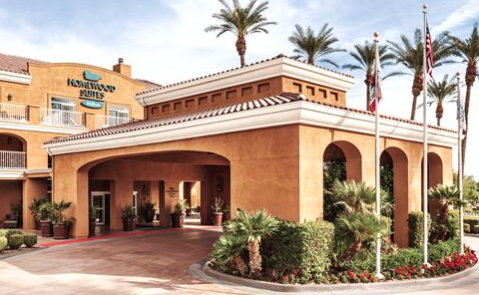 Located in the heart of Coachella Valley, Homewood Suites by Hilton® La Quinta is an award-winning property, surrounded by world-class golf, shopping and dining. 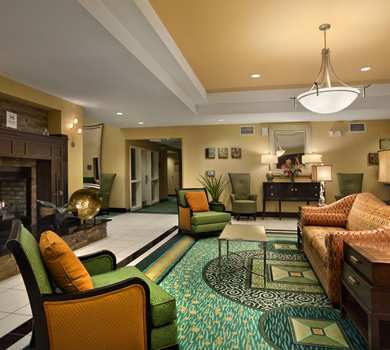 Complimentary internet access and HDTV’s with premium cable channels are provided in your suite, and all guests are invited to start their day with a complimentary hot, full breakfast, by practicing on the putting green, or relaxing in the resort-style pool. 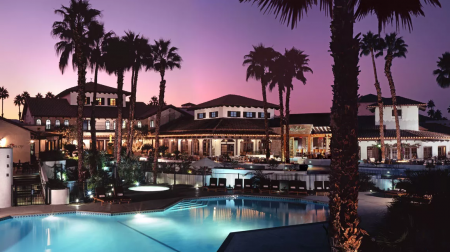 Omni Rancho Las Palmas Resort and Spa offers a relaxing oasis set against a backdrop of mountains and palm trees in the heart of the desert. Revel in the timeless comforts, classic conveniences and modern technologies that have made this resort a choice destination for a sun-drenched escape. 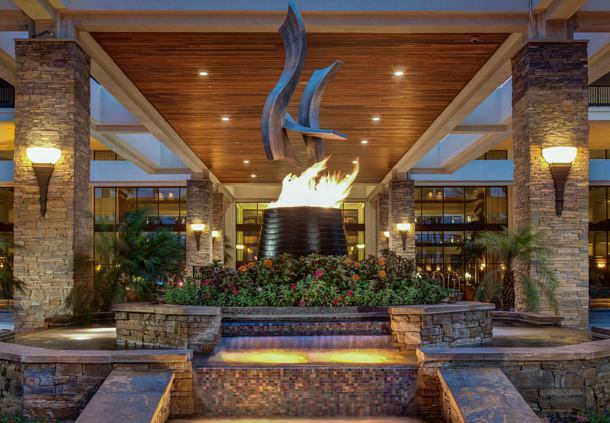 Located on 240 lush acres, the Omni includes a fitness center, spa, boutiques, three pool settings and more. Select hotels are 21+, please check your specific package details before purchasing. Event wristbands and shuttle passes will not be mailed in advance. All materials will be available at your hotel upon check in during designated travel package hours. Any Line Shuttles will run from 12 pm – 8 pm, with return service ending 60 minutes after music ends. You will need a credit or debit card to check into the hotel when you arrive. This credit or debit card will be used to pay for any incidental charges or damages to the room. This does not need to be the same card used to purchase your travel package. Please note, alternate pick-ups may be authorized for free through Monday, February 4, 2019. There will be a $100 fee for adding an alternate pick-up person after this date. Alternate pick-ups can be processed in advance through Valley Music Travel up to 2 weeks prior to the event date. Any alternate pick-ups that need to be authorized after Friday, March 29 for Weekend 1 or Friday, April 5 for Weekend 2 will need to be done on-site. 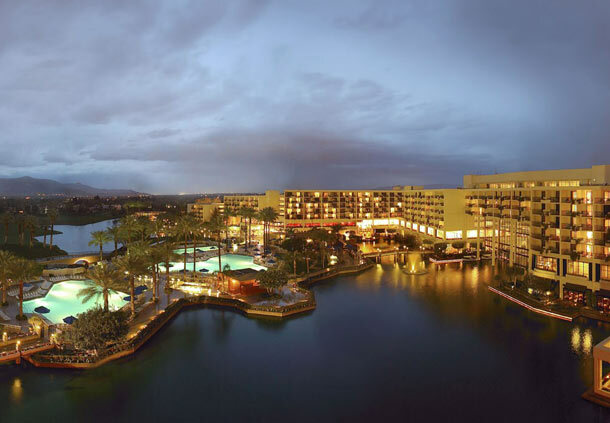 In order for an on-site alternate pickup to be accommodated, the new guest will need to bring a photocopy of the original purchaser’s valid photo ID, a photocopy of the receipt of purchase, as well as a note from the purchaser authorizing the new guest access to the travel package. They will need to present these items and pay the $100 fee at check-in via credit or debit card. Other payment forms will not be accepted. 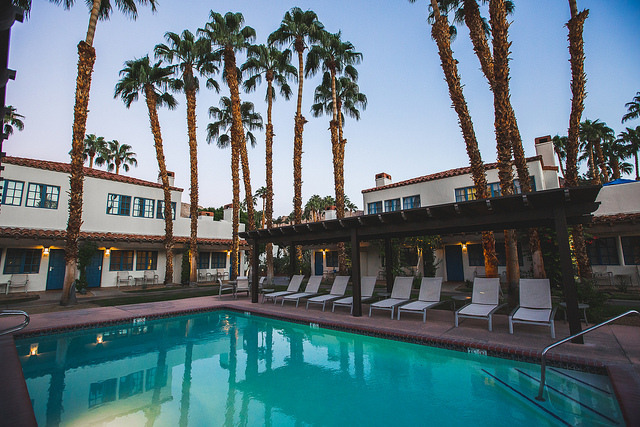 Q: Do Coachella Hotel Packages have a minimum age? 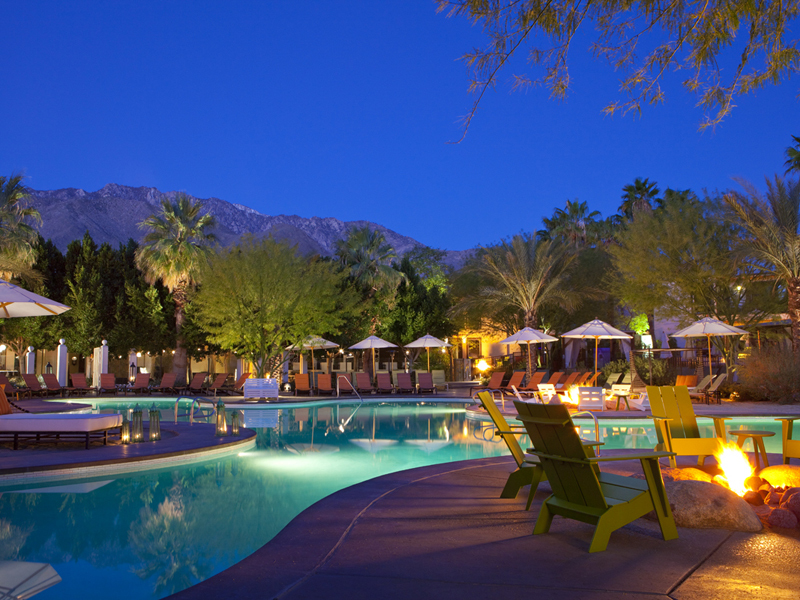 A: While Coachella Festival is all-ages, our partnering hotels do have age restrictions. For most hotels, you must be 18+ in order to make and check-in while your guests can be under 18. Select hotels are 21+, please check your specific package details before purchasing. A: Payment Plans are available for Coachella travel packages until November 5th, 2018. If you would like to use the payment plan, please make sure to select that option while checking out. If you opt to take advantage of the payment plan, you will be automatically charged the same day of the month as your original purchase, and the number of payments owed for your package will depend on the date of your original purchase. Q: I will not have the credit card that was used to purchase my ticket/package. What do I need to do to be able to pick up my tickets? A: Packages are available for pick-up during the designated travel package check-in hours. If the will call name for your package is under your name, we ask that you please bring your confirmation emails as well as your identification. If your order was purchased under another will call name, we ask that the original purchaser please contact our Guest Services team for assistance. We can be reached at info@valleymusictravel.com or by phone at 1-888-833-1031. Q: What does “Will Call” mean? 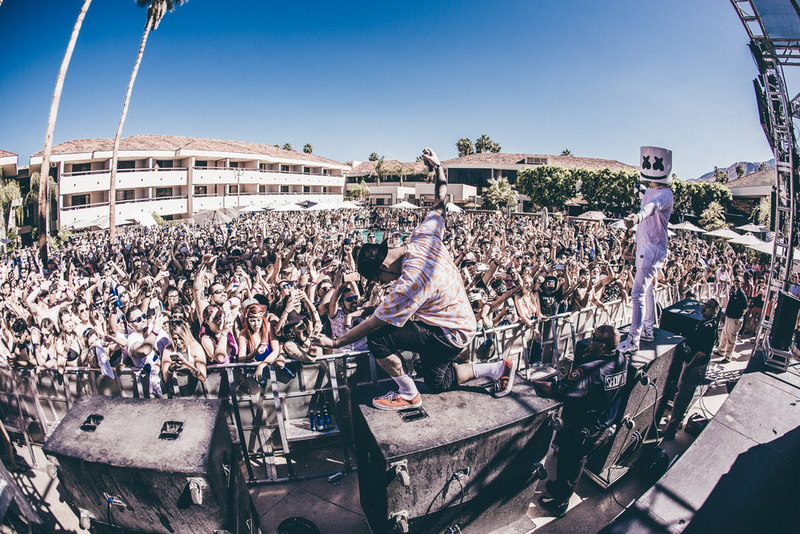 A: Will Call is the list of guests who have purchased a Coachella Travel Package through VMT. The name on our will call list will match the name on the credit card used to purchase the package. There will be a table at the hotel where travel package guests pick up their festival tickets and shuttle passes, called the VMT will call or check-in table. Q: How long will it take to pick up our credentials at the hotel and be able to go to the festival? A: Even at peak times, the process should not take much longer than 15 mins to pick up your credentials. We will have ample staff to ensure a quick check-in process. In most cases, you will be able to walk up to the VMT check-in table, and receive credentials in less than 5 minutes. Q: Are room upgrades available? 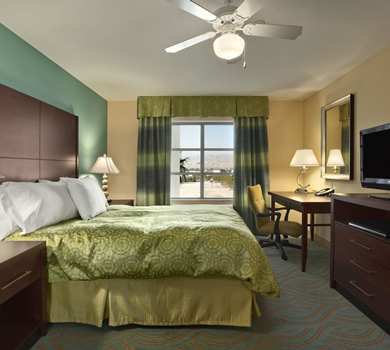 A: Room upgrades are not available through Valley Music Travel. If you would like to upgrade your room type we suggest that you contact the hotel directly to confirm availability and upgrade pricing. 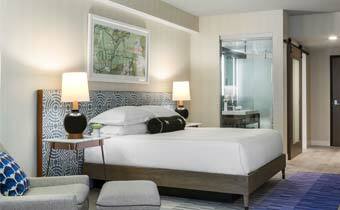 Guests are responsible for confirming all details and paying the hotel directly for all associated upgrade charges. Please note: your name will not be in the hotel’s reservation system until much closer to the event, so you will need to wait until then to request an upgrade. 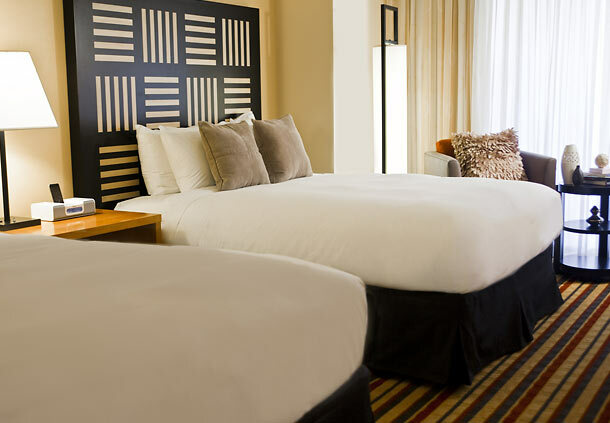 Q: Can I add additional nights to my Hotel Package? 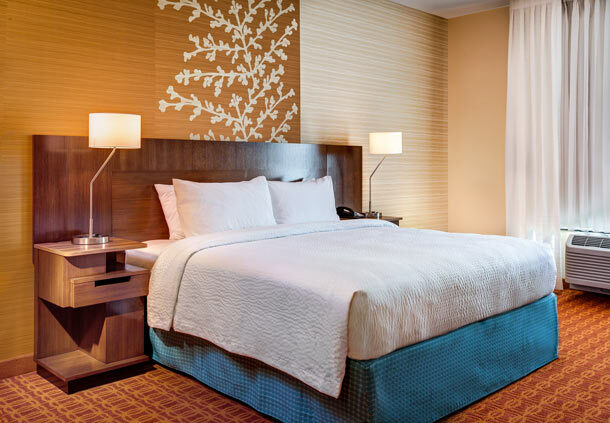 A: For additional nights, please book an independent reservation for those nights in the same type of room (same bed type) with the hotel directly. Please contact us with the new reservation number, date of your additional night and your Valley Music Travel order number. Our hotel team will work to combine your stay. We can be reached at info@valleymusictravel.com or by phone at 1-888-833-1031. Please note: these requests are not guaranteed. Q: Can more than two people stay in a hotel room? 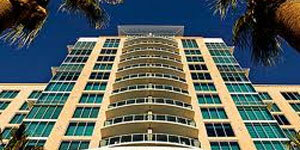 A: Hotel occupancy is based on the package that we sell, for either two or four guests. We cannot allow additional persons above the package occupancy to occupy the rooms. Q: Can our room be next to our friends? Can they be connected? A: Please contact our Guest Services team after purchasing and we will do our best to put you next to, or as close as possible, your friends. Connecting rooms are rare, but we will do our best. Please have both your and your friend’s order numbers with you when you call. Q: Can we check in early to the hotel? Will the hotel hold our bags if our room isn’t ready? I wanted to get to the festival ASAP! 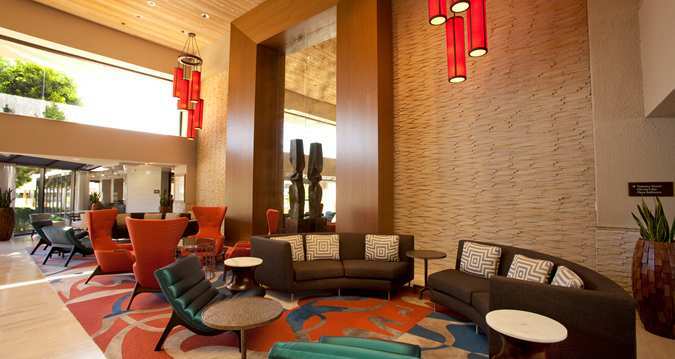 A: Standard hotel check-in times apply across all of our hotels. Hotel check in time is often not guaranteed until 3pm or 4pm. We have communicated with each of our hotels and they have assured us that they will do everything in their power to get our rooms in as early as possible. It is unlikely that a hotel check-in would occur prior to 12pm. 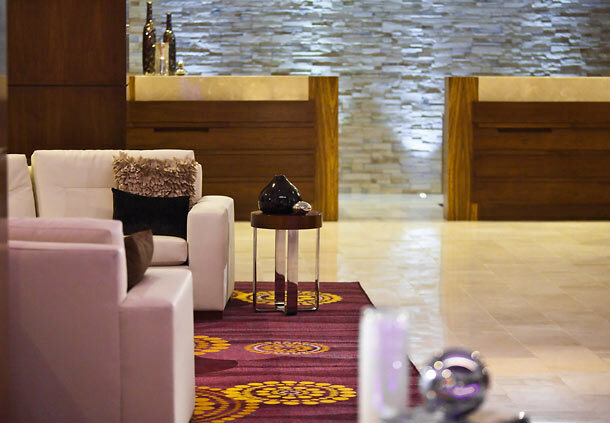 If you would like to head to the festival before your room is ready for check in, the hotel will gladly hold your luggage until you return from the festival that evening. Q: How do the shuttles work? A: All travel packages include shuttle passes to take you from your hotel to the festival and back each day. Shuttles to Coachella will run from 12 pm – 8 pm. Return shuttle service will end 60 minutes after the music ends. Q: How long will it take to get to the festival from my hotel? A:While we have taken many precautions in order to circumvent festival traffic, we cannot account for area traffic or weather delays. We have several routes to and from the grounds that avoid most festival traffic and will get you there and back as quickly as possible. Q: My friend is arriving before me, could he get in the room before I arrive to receive the festival wristbands? A: You will need to add your friend’s name to your room reservation so that they are able to check into the room when they arrive to the hotel. Your friend will be able to get a room key while you still have to see us at travel package check-in to collect all festival wristbands. 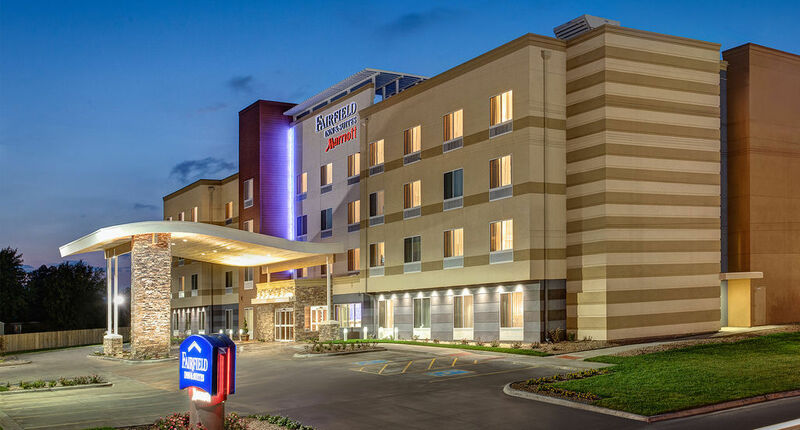 Please note: your name will not be in the hotel’s reservation system until much closer to the event, so you will need to wait until then to request to add your friend’s name to the hotel reservation. Q: My friend would like to get his festival wristband before I arrive to check-in? Could he check-in and leave my wristbands for me at will call? A: As the original purchaser, you will have to request an alternate pick-up ahead of time, which will authorize a friend or family member to pick-up the package on the purchaser’s behalf and have access to the hotel guest room. Once your friend checks in, they must pick up and distribute all package elements accordingly. We recommend having your friend leave the extra wristband(s) in the room safe. Alternate pick-ups must be done by February 4, 2019; after this date, there will be a $100 processing fee. Alternate pick-ups can be processed in advance through Valley Music Travel up until to 2 weeks prior to the event date. Any alternate pick-ups that need to be authorized after Friday 3/29 will need to be done on-site. 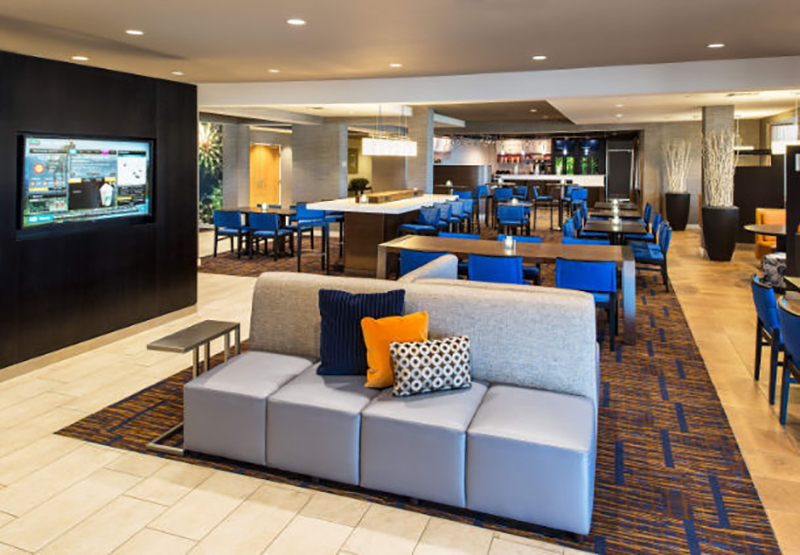 In order for an on-site alternate pickup to be accommodated, the new guest will need to bring a photocopy of the original purchaser’s valid photo ID, a photocopy of the receipt of purchase, as well as a note from the purchaser authorizing the new guest access to the travel package. They will need to present these items and pay the $100 fee at check-in via credit or debit card. Other payment forms will not be accepted. Please contact our Guest Services team for further assistance at info@valleymusictravel.com or by phone at 1-888-833-1031. Q: The Hotel Package was purchased as a gift. How does the recipient receive the elements of the package if I will not be there? A: In order to accommodate this, the original purchaser must contact our Guest Services team at 888-833-1031 or info@valleymusictravel.com to authorize an alternate pick-up person. This authorization will allow a friend or family member to pick-up the package on the purchaser’s behalf. 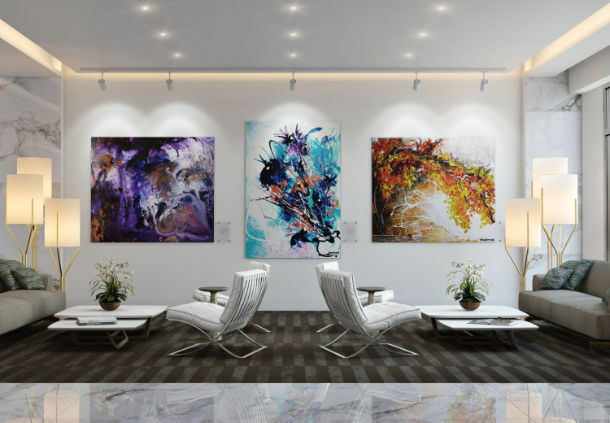 All informational emails and correspondence will still go to the original purchaser and it is up to them to relay the information to the guest that is attending the festival. Alternate pick-ups must be done by February 4, 2019; after this date, there will be a $100 processing fee. Alternate pick-ups can be processed in advance through Valley Music Travel up until Friday 3/29. Any alternate pick-ups that need to be authorized after Friday 3/29 will need to be done on-site. 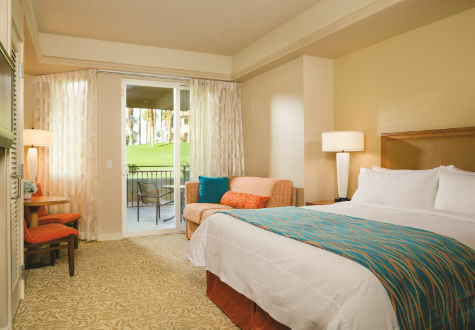 In order for an on-site alternate pickup to be accommodated, the new guest will need to bring a photocopy of the original purchaser’s valid photo ID, a photocopy of the receipt of purchase, as well as a note from the purchaser authorizing the new guest access to the travel package. They will need to present these items and pay the $100 fee at check-in via credit or debit card. Other payment forms will not be accepted. Q: Can I use my Valley Music Travel hotel travel package for a contest/giveaway or to promote my website/product/event? A: No. CID Entertainment’s and Valley Music Travel’s trademarks, intellectual property, tickets and other offerings may NOT be used for advertising, promotions, auctions, contests, sweepstakes or any commercial purpose, without express written consent from CID and its partners. Please see our purchase policy for more detail.